Good quality single fusee wall clock in mahogany case with 12" cream dial and movement stamped Astral of Coventry which is the logo for makers Williamson who were founded in 1871 by H. Williamson and by 1903 they had factories at Coventry, Salisbury and Buren, Chaux de Fonds, Switzerland. 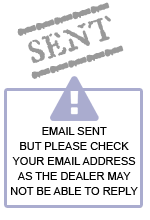 Their main offices and showrooms being at 77-79 and later 81, Farringdon Road, London . 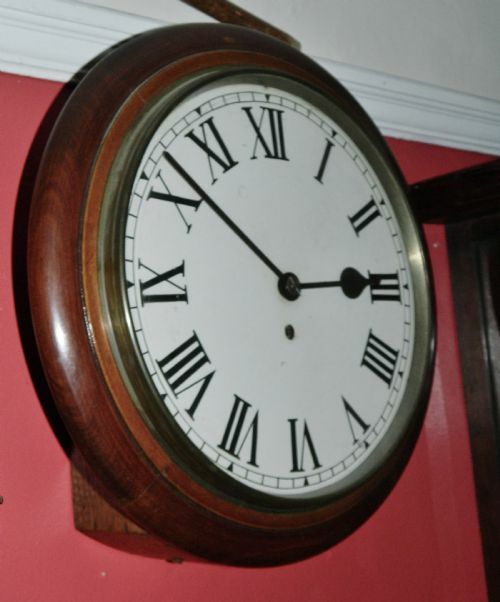 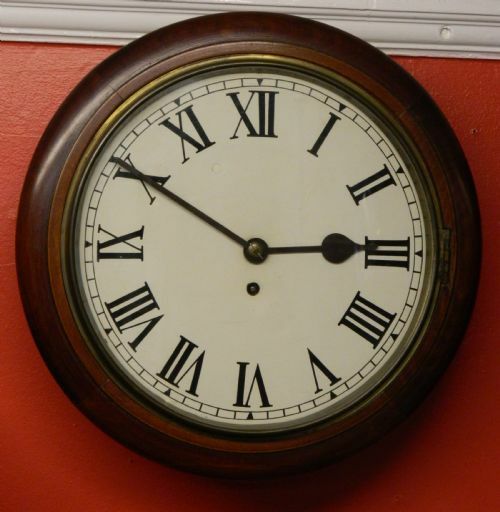 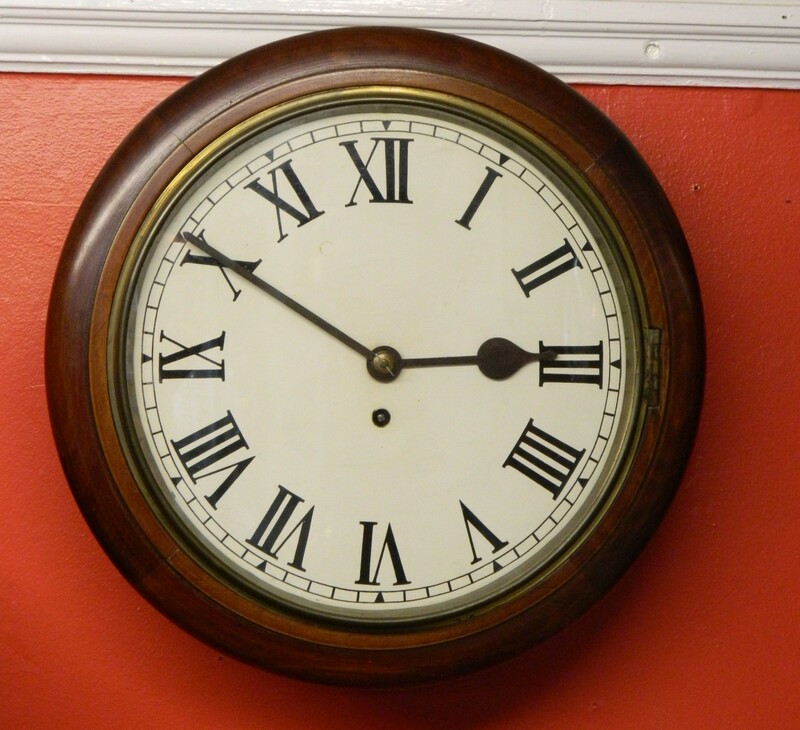 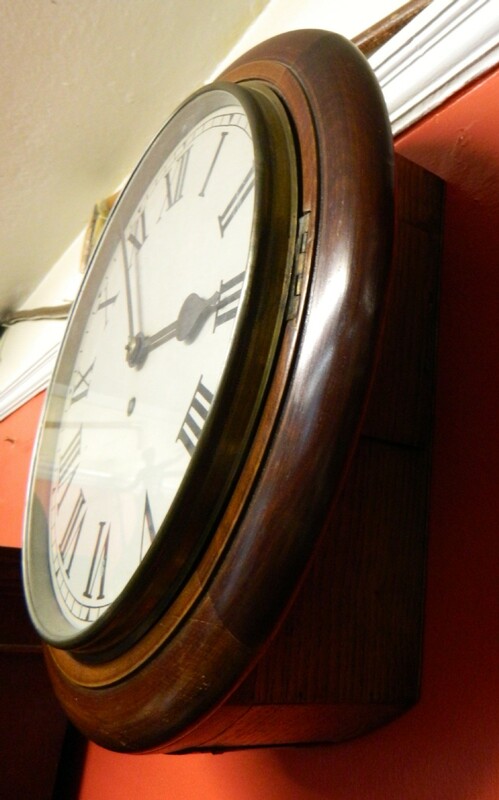 normal marks / scuffs commensurate with age but overall this lovely clock is in good condition and is keeping good time. 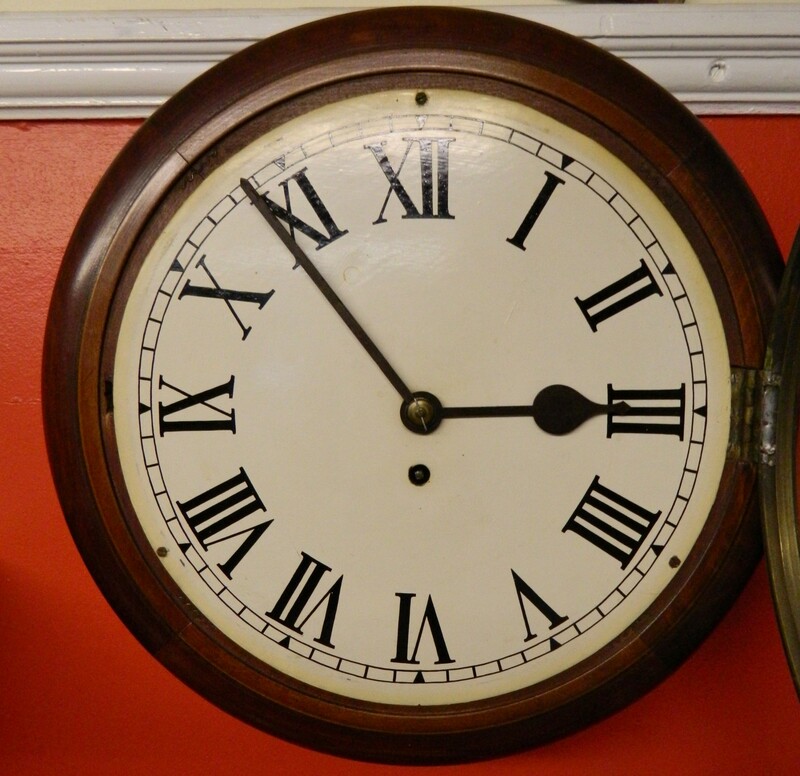 The single fusee wall clock - stamped Astral of Coventry ( H. Williamson ) has been added to your saved items.